The Mets’ season has mostly been an exercise in maximizing use of the new 10-day disabled list, which has been the biggest contributing factor in the fact that they’ve lost an awful lot this year. (They haven’t been so far below .500 since 2014.) 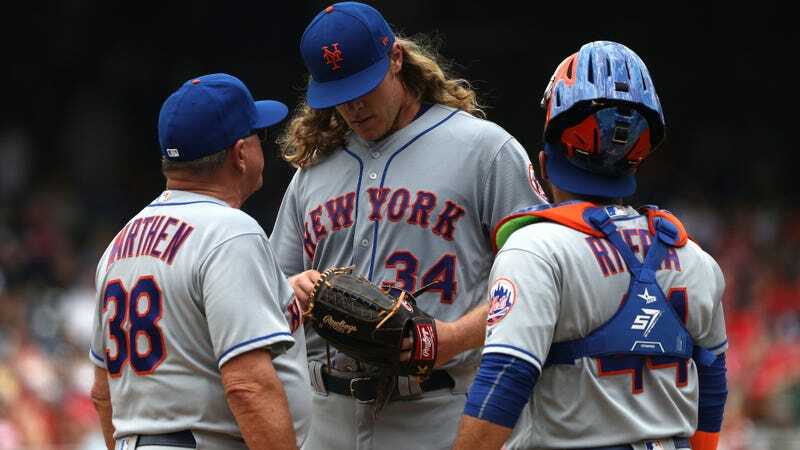 The bad seemingly got worse today, with Noah Syndergaard pulled midway through the second inning. Whatever the nature of the ailment, it’s likely not good for Syndergaard, who’s seemed a clear injury risk since he unveiled a slider in the mid-90s last season and even more so since he announced this winter that he planned to test his limits by throwing even harder this year. And it’s certainly not good for the Mets, who already have two starting pitchers on the disabled list and an increasingly limited margin for error.